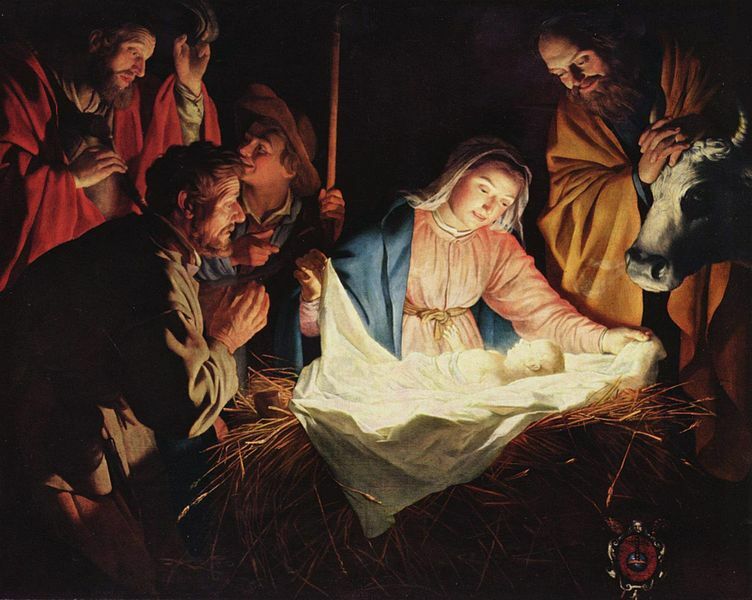 The Adoration of the Shepherds (Gerard van Honthorst), 1622. Kids have a way of asking questions we adults have never pondered. Once, my inquisitive son was reading a science book and looked up at me with a puzzled look. I was confused, and he knew it. Maybe he was hoping that all those germs would duke it out in a battle royal and kill one another – and we’d never get sick. Honestly, I’m still not sure what the answer is. But the other night he asked me a relatively easy one. “Huh?” he replied, sort of shocked. Christmas is a wonderful time of the year to reinforce the Gospel to our children, simply because everyone they know – their friends, their teachers, their neighbors – is celebrating it. In other words, our children can’t go anywhere without being reminded of Christmas, even if it is a sanitized, secular version. But we don’t have to battle the local box store to put “Christ back into Christmas.” We can do that in our homes, beginning by what we tell our kids about Jesus.